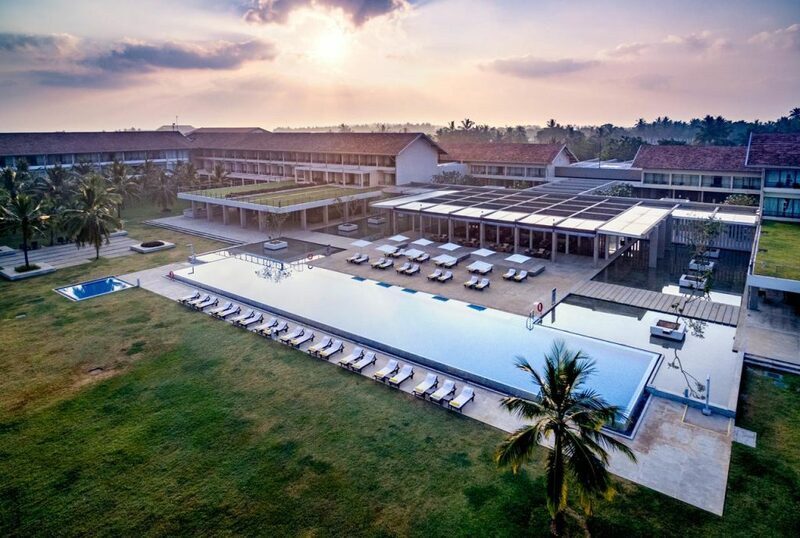 Anantara Peace Haven Tangalle is a beautiful holiday resort snuggled up within a coconut plantation, providing gorgeous views of the Indian Ocean from every angle of the property. 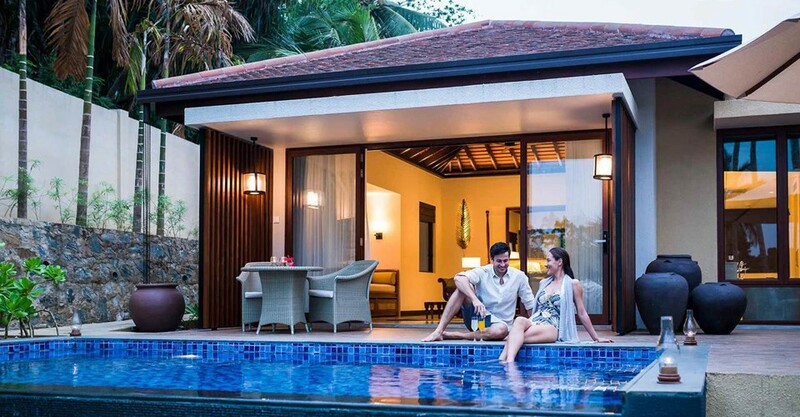 Whether you are savoring the authentic cuisine and spices of Sri Lanka at the one-of-a-kind cliff-side dining restaurant, or sipping a refreshing drink from the exclusive wine cellar, or simply relaxing in the privacy of your room, breathtaking views follow everywhere you go. This scenic beach escapade is very popular for the wellness rituals they promote. So you could practice yoga on the golden sands during sunrise or opt for a relaxing Ayurvedic ritual at the world renowned Anantara Spa. 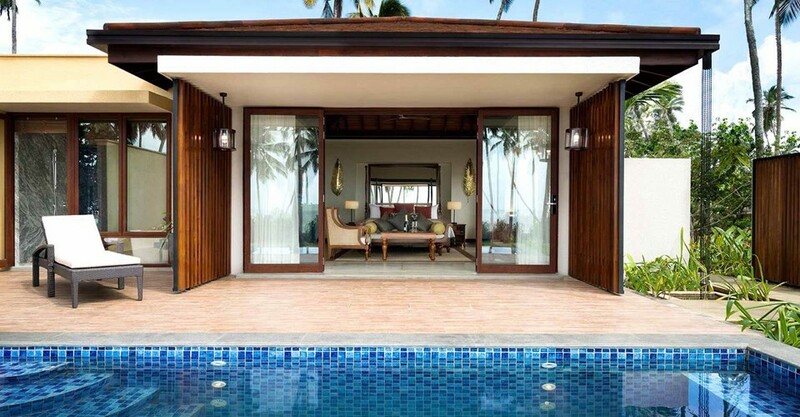 Anantara Peace Haven boasts of 152 rooms and villas that allow you to spoil yourself while you are exploring the southernmost shores of Sri Lanka. Experience luxury unfolding at this secluded tropical retreat through ample spaces and the best of amenities. Complimentary Wi-Fi is provided in all rooms and throughout the hotel premises. This spacious room offers regular glimpses of the blue ocean, direct access to the beach and a comfortable bed with the finest linens. Each of these rooms has a private outdoor seating area with dining furniture to enjoy private meals amidst the fresh sea breeze. Rooms are also equipped with all the modern amenities that allow you to indulge in refined luxury. 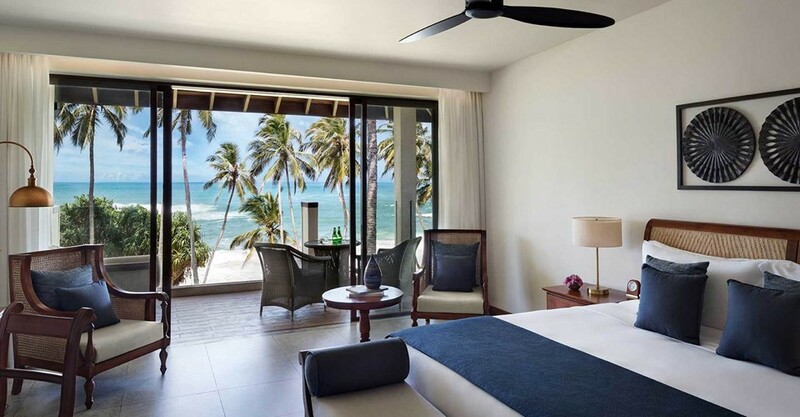 These rooms offer stunning views of the Indian Ocean from your window as well as from the balconies during your private dining moments or while simply relaxing on the comfortable day bed. Fix yourself a nice coffee after a refreshing bath under the rain shower while munching on some snacks from the mini bar. 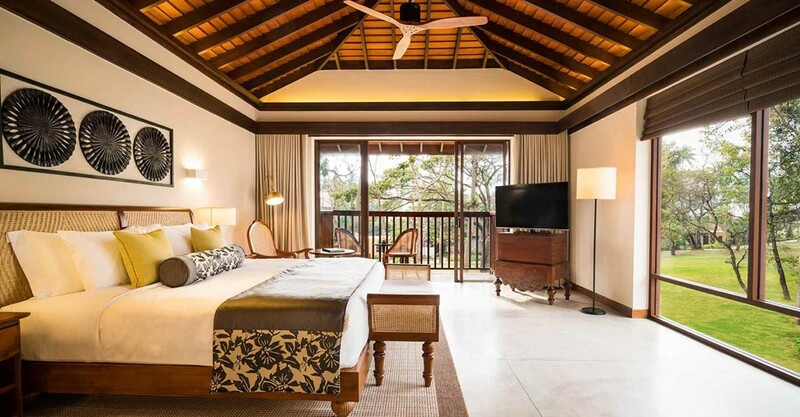 Comfortable luxury, romance and relaxation, with a touch of tropical flair are what these spacious rooms invite you to. The open glass doors of the room let you admire views of the exotic shoreline from the comfort of your king size bed. The spacious and luxurious bathroom offers an indulgent place for long soaks and a refreshing shower. 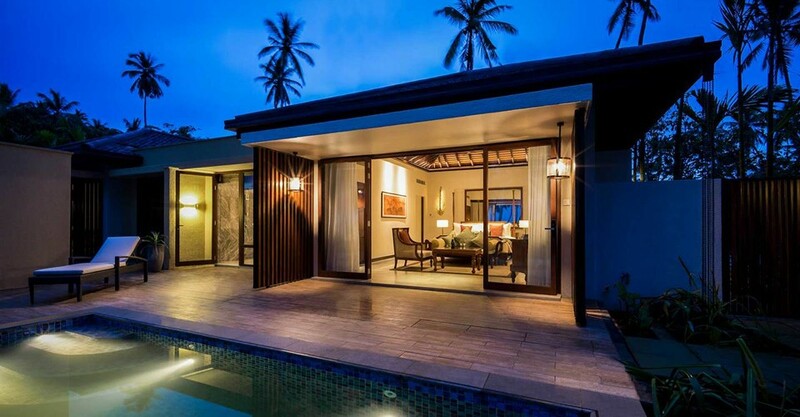 Pump up your stay with villa living at Anantara Peace Haven Tangalle. Ultimate luxury accommodation lets your holiday unfold perfectly. 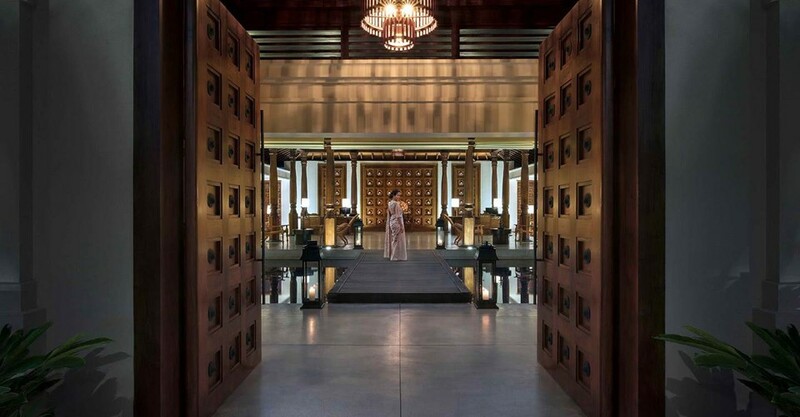 Anantara Spa: expert therapists provide nourishing treatments and pampering massages to de-stress and rejuvenate your mind, body and soul. Joli Kids and Teens Club: well trained staff to keep your young ones entertained with fun-filled activities. 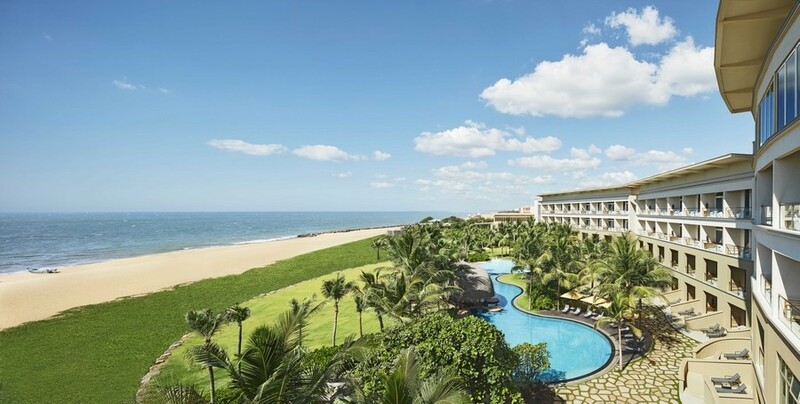 Swimming Pool: a massive 25 meters in length – plenty of space for a relaxing swim overlooking the ocean. Gym: high-tech fitness center to keep you in shape. Yoga Classes: take place during sunrise and sunset on the golden sands or you can request for a private session in your room. Bicycles: to explore the area – colorful temples, wildlife variety, local markets, isolated beaches. Spice Spoons: a cooking class to connect with local tradition and the learning of unique skills.